Everyone knows that if you leave rubbish around it’ll begin to smell. It looks messy. Stuff might get sticky. And sometimes little mice come along and nibble at things. These are all EXPECTED consequences of discarded rubbish. What I’ve just seen ISN’T. It’s definitely an UNEXPECTED consequence. Pip found some fish. I think it must have been left on a desk, or maybe under one? Who leaves left-over fish? A tummy ache I could have understood. But this? 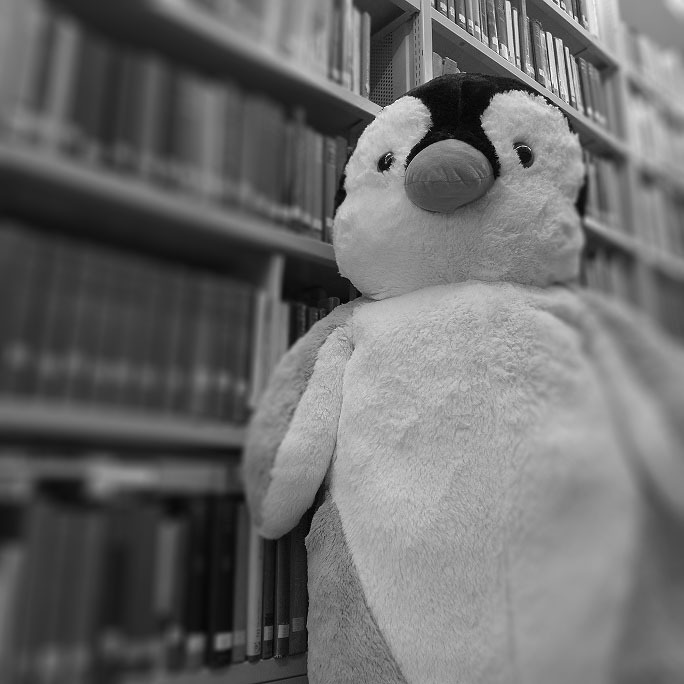 Being a Library Penguin I’m pretty sure that there must be an answer out there, I just need to find it. I’m off to Google “Giant Penguin”. I’m almost sure that will help.